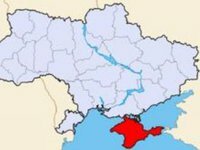 Some 2,425 persons have been illegally expelled from Crimea, Ukrainian lawyers have said. Vitaliy Nabukhotny, a lawyer for the Regional Human Rights Center, said at a press conference in Kyiv on Thursday that the Ukrainian Prosecutor General's Office (PGO) for the Autonomous Republic of Crimea jointly with the Center in December 2018 reported to the International Criminal Court (ICC) about the illegal deportation of 23 persons from Crimea. According to him, these people were found guilty of administrative violations and expelled from the peninsula. Lawyer Roman Martynovsky added that most of those people have relatives in Crimea. They were not allowed to communicate with them after deportation. Nabukhotny said the cases are commonplace. "Currently, the Regional Human Rights Center has identified 2,425 people who were expelled from Crimea," he said. Martynovsky said the identity of the deported persons was established by court decisions. Among these people there are foreigners from 37 countries and stateless persons. Deputy head of Crimea's PGO Andriy Androsov said the deportations can be qualified as war crimes and crimes against humanity. He said the deportation of 23 persons violates Article 49 of the Fourth Geneva Convention and the norms of 129 international humanitarian laws. He added that Article 7 of the Rome Statute says population transfer and deportation are crimes against humanity. Androsov said authors of the report appealed to the office of the ICC prosecutor with a request to conduct a preliminary probe into the expulsion of 23 citizens to assess the situation in Ukraine in the context of Russian aggression.